The Islamic State (IS) may have intended to repeat an attack similar to that in Paris with thebombings and shootings in Jakarta on January 14, but fortunately it failed. Indonesian security forces promptly fought against inexperienced attackers in a major shopping district where bombs exploded, and the casualties were few. Until now, the police have controlled very well the radical movements in the country, whose members can no longer train abroad and come back as old generations belonging to Jamaah Islamiyah did. But spreading terrorism and ideology cannot be won only with increased control and security. IS has been fought until now mostly with bombings in Syria and Iraq, with unclear results, with increased security control in major cities around the world, and with more controls at the frontiers of the states. Nevertheless, this strategy is not enough to win against a destructive cult that became a transnational criminal organization and then an unsuccessful, at least until now, attempt at state creation. What we need is also a “battle of ideas”. Not of the West against the “Rest”, in this case Islam, reminiscent of the “clash of civilizations”; but of the world against this very narrative that IS itself tries to fuel. Unfortunately, among Western states, the only country proposing to really fight the risk of radicalization with this battle of ideas, investing in culture, seems to be Italy. After the attacks in Paris, the Italian government refrained from joining in the bombing Syria or Iraq, as some other European countries did, and allocated instead €1 billion for investments in culture in addition to the same amount for security. The funds for culture are used especially in the suburbs where youth of different backgrounds might clash, and for every youth that is coming of age: when they reach 18 years old thy have a card of 500 Euros to spend on theaters, museums, and other cultural activities. But who is really fighting the IS extremist narrative of Islamic interpretation inside the Islamic world, where this battle has its highest legitimacy and importance? Not so much Turkey, a secular Muslim democracy busy with its security issues and with its mind in the EU; or Iran, the Shia regional power busy with its ideological rival on the other side of the Gulf, thinking now on how to reintegrate into the international community. Instead, Indonesia, the largest Muslim country in the world, stretched exactly at the opposite end of the Asian continent to where IS dwells, has been doing quite a lot of work recently to oppose the backward, reactionary and violent Salafi-Wahhabi ideology of this group. This is one of the main reasons why IS wants to expand its actions in the country. 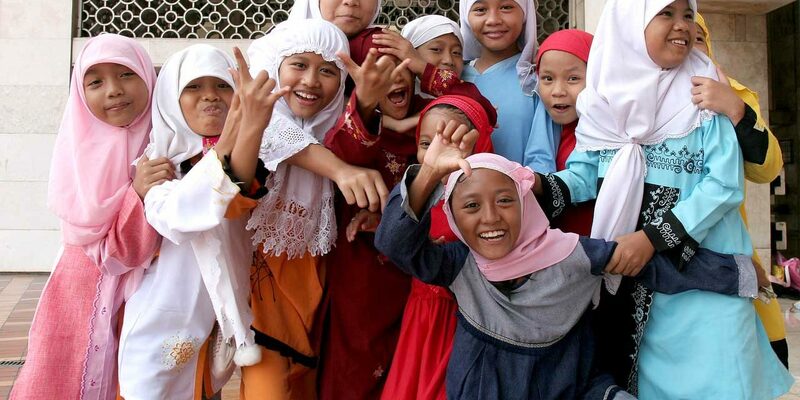 Indonesian reality is not well-known in the Middle East, and in general in the world, being almost an “invisible country” in the international community, but it is a rare example of a secular Muslim democracy in which the Islamic ethic perfectly coexists with a modern society. Since the people toppled their last dictator in 1998, Indonesia has gradually grown as an economic, political, cultural and religious power, in its Southeast Asian style. Today, Indonesia could be considered a potential “diamond” in the battle of ideas against IS. Recently, the country’s largest Islamic organization Nadlatul Ulama (NU), also the world’s largest Islamic association, with some 50 million members, released a video called “The Divine Grace of Islam Nusantara”. NU, whose stated goal is “to spread messages about a tolerant Islam in their respective countries to curb radicalism, extremism and terrorism”, was established in 1926 in response to the rise of Wahabiism in Saudi Arabia. Indonesia is on the right path to show some leadership in a counter-extremist global movement. Almost one century later, this organization wants to show to the world that the IS interpretations of the Koran and Hadith are not only dangerous but wrong, and today we need a revolution of ideas. As a former leader of the association, Mustofa Bisri, says in the video, “We need a mental revolution to reconceptualize our entire understanding of the world. What is our concept of God? What is our concept of brotherhood? What is our concept of humanity? We need to change our entire worldview, by reexamining the nature and purpose of life”. This is exactly what we need today to fight IS, to reexamine the nature and purpose of life and human communities. Will this appeal be welcomed by people around the Islamic faith, but also of other religions, not only Abrahamic? Time will tell, but one thing is certain: Indonesia is on the right path to show some leadership in a counter-extremist global movement, based on its syncretic spiritual paths and its liberal democratic values, working against the attempts of terror to make it fearful and shaking. This leadership potentiality is based on the Indonesian Islamic and political features, very different from the Middle East, and is reflected in the leadership narrative of the Indonesian elites. President Joko “Jokowi” Widodo defined the recent attacks as “actions that disrupted public security and disturbed the peace of the people”. But he didn’t appeal to a “war against terrorism” or against IS, as other states of Middle East or the West did, avoiding in this way alarmist and Manichean interpretations of the world and our times that foment the -terrorist narrative of a total permanent war. Indonesia represents a paradigmatic Muslim democracy, one of the best examples of how Islam can shape the principles of politics toward ethical values without necessarily having Islamism ruling the country. Believing that inclusiveness of pluralism and freedom of diversity are fundamental for a tolerant and open society, Indonesia may represent a real strong alternative to the Wahhabi-Salafi ideology that from the Arab peninsula spreads around the world with ominous and nefarious consequences. This is the battle of ideas that Indonesia can win and which the bombs of IS cannot stop.